Lindsey Marks – who performs burlesque as Lady Jack – is chatting in front of a large Alice in Wonderland painting in the downstairs dining room at The Darling, on W. Randolph St.. This new space, owned by Sophie Huterstein, who also owns L.A.’s The Wellesbourne, is next door to J.P. Graziano, purveyor of exceptional Italian sandwiches since long before the Randolph Corridor became the most happening restaurant strip in Chicago. The ground Floor entryway is “hidden” behind a wall of flowers in what appears to be a flower shop. Currently, all the flowers are paper, but Huterstein says that they plan to sell real flowers from this “shop,” though it seems unlikely that they will be sold before the snow flies in Chicago. The first floor is all about the small plates. The real standouts for us were the pork belly, a delicious combination of the belly, poached pear, pumpkin puree and crispy sage, as well as the shrimpiest shrimp toast we’ve had, big boys mounted on brioche smeared with garlic confit crema and dressed in saffron and cherry peppers. Upstairs on the second floor, there’s more performance space and bigger plates, like the Seafood Platter with house-smoked trout dip, crab cakes, and smoked mussels. Huterstein seems especially excited about the Grilled European Sausages, currywurst and bratwurst, with German mustard, pretzels and gherkins. Some of the cocktails reflect the whimsical tone of The Darling. The drink called The Darling Buds of May,” for instance, features egg foam on top of the drink imprinted with an alarmingly precise image of the flowers. How did they get the lines on those flowers so sharp, the colors so clear? The answer is that they imprinted the images on an edible disk designed to dissolve into the cocktail. Clever. Martin handles food on both floors, and in addition to Marks, entertainment will be managed by DJ/Dr. Victor Nwankow. When he isn’t working on his residency requirements at Stroger/Rush, Nwankow creates playlists for surgeons in the operating theater and guests at The Darling. He also curates other DJs who will be invited in to entertain guests at this trippy, intriguing new place on Randolph. It doesn’t seem that Scotch whisky would be a great pairing with food: the spirit is big, sometimes smoky and seems like it could steamroll all but the most powerful flavors. But you might be surprised how well Scotch can pair with foods. Standing on the shore of the Atlantic Ocean outside the Ardbeg Distillery on the isle of Islay in Scotland, we were served glasses of the peaty whisky and locally harvested oysters, which we thought would surely be an imbalanced pairing. But it wasn’t. It was a beautiful pairing, proving the adage, “what grows together, goes together.” The whisky seasoned by the local salt spray matched the saltiness of the oyster pulled from local Islay waters, and the smokiness meshed with the oysters’ oceanic tang. You like smoked oysters, right? Smoky whisky and oysters yield the same combination of flavors. Back in Chicago, we were eager to try pairing Scotch whisky with Scottish-type food. SideDoor is the gastropub on the west side of the old McCormick mansion, the urban palace built by the family of the Scots-Irish magnate Cyrus McCormick. We tried the pairing of Kumamoto and Blue Point oysters with Oban 10 year old Scotch whisky, distilled oceanside in Scotland and evincing the brininess that works so well with oysters. Oban lacks the peaty intensity of Ardbeg, enhancing the oyster flavor without peatiness. With slight salinity seasoning both Oban whisky and the oyster, the flavor of the sea creature seemed to come through even more clearly. Conclusion: both peaty and un-peated Scotch whisky pairs well with oysters. For a tartare made with salmon harvested in the Faroe Islands (about 200 miles north of Scotland), we switched to a 10-year-old Macallan. A Speyside whisky distilled far away from the peat fields of Islay, Macallan has no notes of peat at all, which seemed like the right choice for a fish of this quality. The light Dijon sauce and capers matched the relative lightness of the Scotch. This was a superbly balanced pairing. Scallops also made a very good pairing with the Macallan, the light and sweet sherry notes of the whisky, aged in sherry barrels, was a very pleasant match for the light, sweet flavor of the scallops. Angus beef originated in Scotland, and for this heartier entrée, we chose the 10-year-old Ardbeg. The peaty weight of this whisky matched the robust flavor of the Angus cap, and although the steak worked well with the beefy Scotch, the chimichurri sauce tasted just slightly off when washed down with whisky. When we visit again, we’ll get the Angus beef cap with our Ardbeg but take a pass on this tangy green South American sauce, which we’ve had before and liked a lot, but which is not a friendly pairing with Scotch. For dessert, with a little Ardbeg still left in the glass, we ordered the sticky pudding, a U.K. favorite: a spongy cake topped with toffee sauce and served with ice cream. We greatly enjoyed the combination of smoky dram and sweet cake. The sugariness of the pudding pleasingly played off the heaviness of the Scotch. Scotch with dinner is not for everyone. If, however, you think you might like a wee drop with your meal, the whisky works much better than you might imagine. Sometimes the whisky contrasted with what we were eating (as with dessert at the end of the meal) and sometimes it compared with what we were eating (as with the oysters at the beginning of the meal). Either way, it was an interesting experiment. One other advantage of having whisky with rich food is that the solvent qualities of the drink cleanse the palate and refresh the taste buds for the next bite. You should try it, at least once, and a good place to do so is with a whisky or two and a few plates of Scottish-type food at SideDoor in River North. There was a time when dining out after hours meant your only choices were burgers, greasy slices of pizza or burritos as big as your head. But as Chicago’s culinary landscape continues to evolve, it’s extended to the late-night crowd. These offerings from trendy and classic establishments are made from scratch, creative and certain to satisfy your cravings. Dorian’s. It was great to relive our younger years with Saved By The Max – Saved By The Bell Pop Up Shop Diner & Bar, the kitschy Bucktown/Wicker Park sensation that has since moved on to a permanent space in West Hollywood. But now it’s time to grow up again—especially those of us who watched the show in its prime—as the owners have created the more sophisticated Dorian’s in its space. To get to it, you must enter a record store selling the likes of Bessie Smith, David Bowie and Wes Montgomery on vinyl. Dorian’s is an effortless experiment boasting a Michelin starred chef (Brian Fisher of Entente) and incredibly talented music director (Joe Bryl of Funky Buddha Lounge, Sonotheque and Maria’s Packaged Goods & Community Bar fame) kicking out rare groove, experiment jazz, Afrobeat and samba. Most dishes from the Asian-focused menu are shareable, including mushroom wontons, chicken bao and the short rib banh mi. The beverages are fun too, with large-format cocktails like the $70 Cookie Monster—which is served in a cookie jar-inspired container. HopCat’s gastropub menu complements its large selection of craft beers. Furious Spoon. You’ll also find a Michelin-starred chef overseeing the menu at this hip-hop inspired ramen joint boasting locations in Logan Square, Wicker Park and Wrigleyville. Shin Thompson is behind the project and menu highlights range from the signature Furious ramen with chashu pork belly, spicy miso, white pepper chicken, “fury” sauce and a poached egg to Holy Cow ramen (chili-infused noodles, spicy beef bone soup, fresno chilies and ground beef and string bean stir fry). There are also cocktails on draft. HopCat. The from-scratch, gastropub-style food from this Grand Rapids-based operation is meant to match the hundreds of craft beer selections. Most items are also meant to share. Pretzel Nuggz, for example, are flash-fried, salted and served with warm cheese sauce and spicy horsey mustard for dipping. Meat Head pizza rolls are filled with pepperoni, cherry smoked bacon, chorizo and mozzarella. And the signature Crack Fries—beer battered and sprinkled with HopCat’s signature cracked black pepper seasoning—may be topped with chili, poutine or sloppy Joseph mix. Kingston Mines. Since 1968, Kingston Mines has not only served as a Chicago blues institution, but as a worldwide phenomenon. Musicians and tourists from all over visit this Lincoln Park music venue for entertainment 365 days a year. 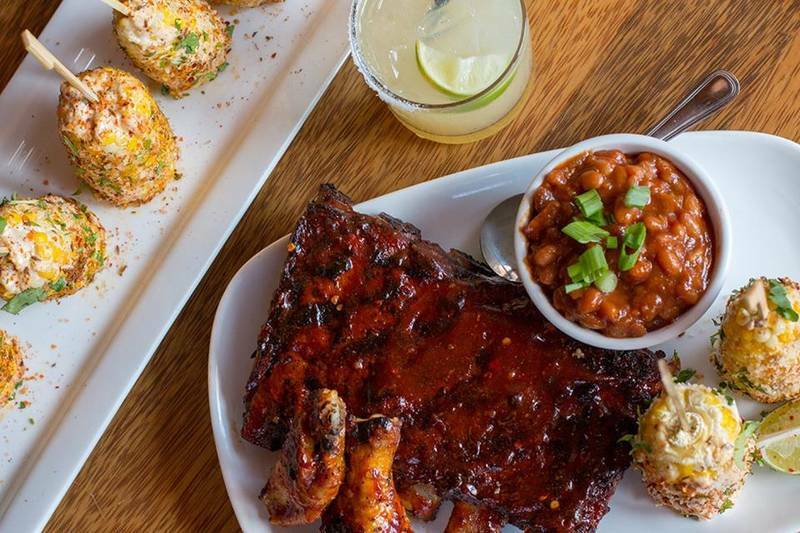 The menu, served late night, offers soul food favorites, including barbecue ribs, fried chicken, red beans and rice, and jalapeno corn bread muffins. While many of the dishes are fried, guests have the option of ordering a few such as catfish and shrimp in other styles. They may order them grilled or blackened. There’s a full bar menu. La Josie. Updated Mexican fare is on offer at La Josie, a sleek West Loop lounge and eatery serving food late night. It’s one of the area’s most popular places to frequent for larger groups because many dishes are share-able. Guests should start off with one of the ceviches, which consist of camaron (tiger shrimp), huachinago (red snapper) and Mahi Mahi. Tacos are the most popular item to order at La Josie. Choose from al pastor (adobo pork), carnitas (baked pork shoulder), grilled Amish chicken or asada (grilled skirt steak). Other shareables include entrees like pollo rostizado of oven-roasted Amish chicken, black beans and Mexican rice or parrillada of grilled skirt steak, chicken breast, house-made chorizo, grilled veggies and rajas poblanos. The beverage menu ranges from a mezcal Old Fashioned to craft beers on draft. Peach Pit After Dark. Ironside Bar & Galley is the latest Chicago establishment to jump aboard the pop-up restaurant/bar theme. For them, it’s the infamous hangout of the “Beverly Hills, 90201” crew, who turned the cheery diner into an after-hours hot spot during a few seasons of the series. Ironside’s recreation of Peach Pit After Dark features themed dishes and drinks (“Mrs. Teasley’s Mac and Cheese (Order it with lobster because you’re in Beverly Hills, after all! ),” “Brandon Walsh Cherry Chocolate Manhattan”), life-sized cutouts of the characters, a deejay spinning music from the 1990s, “90201” episodes playing throughout the space and more. It’s open on the lower level of the bar seven nights a week. See previous A’s List columns right here. This season promises something exciting for all, whether you’re in the mood for a laid-back evening of cozy dining or flashy night on the town. Found Hotel. The trendy River North hotel catering to younger travelers boasts two concepts: Mason steakhouse and Blind Dragon. The former pays homage to classic steakhouses with roomy, decadent booths and generous steak offerings. 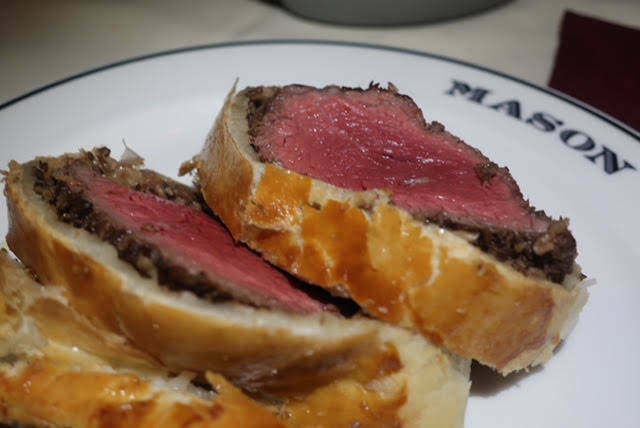 Yet, Mason dotes between classic and contemporary with original cocktails and beef Wellington served tableside. Underneath is Blind Dragon, a slick, Asian-inspired cocktail lounge and karaoke bar. Only open for a few weeks, it’s already become a hang for the likes of Chance The Rapper, Drake and a Kardashian or two. Funkenhausen. Chef Mark Steuer—formerly of Carriage House, El Che Bar and Hot Chocolate—merges his heritage with his new restaurant in West Town. He skillfully combines Southern accents with German classics on the menu at Funkenhausen. Think ricotta dumplings filled with kielbasa, gooseberries and oyster mushrooms; veal schnitzel with baby squash; and charred broccolini in buttermilk dressing. It gets even better as the soundtrack consists of classic and contemporary funk during service. Hampton Social Streeterville showcases a variety of share-able dishes. Hampton Social Streeterville. The Streeterville outpost marks the third in the Chicago area, plus there are others across the country. In addition to its nautical theme, Hampton Social serves as a popular stop for after-work revelers. Its cheery atmosphere makes it a popular destination for larger groups for after-work festivities as well as brunch. Dishes that are shareable are most appealing, particularly brick-oven pizzas, jar of king crab, and “naked” shrimp consisting of pan-seared jumbo shrimp, coconut cream sauce, peanuts and peanut sauce. 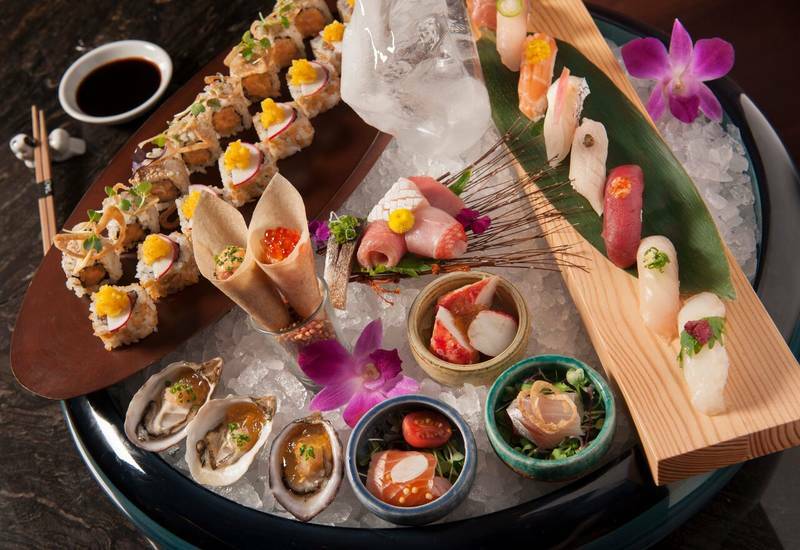 Maki rolls and other Asian-focused dishes are on the menu at TAO Chicago. TAO Chicago. The River North venue is the largest one to date, situated on more than 34,000 square feet, which includes 275 seats for dining on the first-level dining room and an upper-level nightclub with 7,000 square feet. There’s visual overload in TAO, and of course that’s deliberate. A 16-foot-tall Quan Yin statue overlooks guests as they dine on signature dishes like lobster wontons, lobster fried rice, Peking duck, crispy snapper in “sand” and the tuna sashimi pringle. Home-style favorites like meatloaf have been updated at Twain. Twain. Chef Tim Graham pays homage to famed American author Mark Twain with this cozy Logan Square eatery serving updated Midwestern fare. Inspired by his Missouri upbringing—which is also where Mark Twain hailed—Graham puts his own spin on dishes like surf and turf, the Wedge salad and Pigs in a Blanquette. 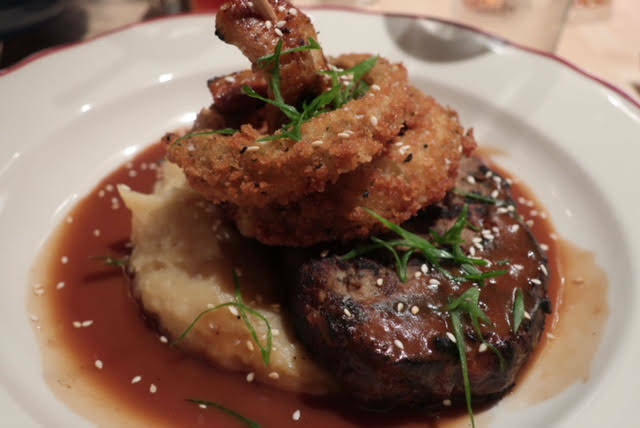 For the former, he finesses it with home-style meatloaf, barbecue unagi and nori-crusted onion rings. Desserts are homey as well, from hand-cranked, seasonal ice cream paired with sheet cake to gooey butter cake topped with seasonal fruit like rosemary roasted peaches. The sun is shining, the temperature is heating up and cravings for summery classics like fried chicken are at an all-time high, making it an apt time to round up some of Chicago’s finest variations of this all-American specialty. From new dishes to timeworn favorites, here’s where to get your fix right now. Feed: While many restaurants and hot spots and newcomers throughout the city peddle buzzy interpretations of fried chicken, Feed has been perfecting the comfort food formula for years. The frills-free, Southern-inspired eatery in Humboldt Park is still among the best destinations for chicken in any form in Chicago. The rotisserie chicken is a popular go-to, but don’t shy away from the fried birds either, especially the dark meat portions. If you’re really feeling hungry, order the 1/2 chicken with two sides, with savorous options like corn pudding, fried okra, succotash, potato salad and mac & cheese. Chicken & Farm Shop: Nestled inside Soho House Chicago, you’ll find a pastoral restaurant capable of transporting you and your senses to the English countryside. Decked out like a sunny, serene cottage, Chicken & Farm Shop knows a thing or two about comfort in all forms. In addition to the heartwarming ambience, that notion is evident in the menu offerings too. As the name suggests, chicken is king here, and the kitchen has a particular penchant for frying. Nuggets, sandwiches and buttermilk battered chicken and waffles are all on hand, offering different takes on the staple. The Roost: Armed with a food truck and some family recipes, North Carolina native Joe Scroggs began a fried chicken revolution in Chicago when he took his fiery fried chicken recipe to the streets on his popular food truck. In 2012, The Roost branched out well beyond its food truck roots and into a restaurant space at the northern tip of Lakeview, serving signature hot or herb-seasoned fried chicken with buttermilk biscuits and peach cobbler. Roister: When one of the most acclaimed restaurants in the world opens a restaurant with fried chicken as a star attraction, it’s safe to assume that it’s going to be above-average chicken, to say the least. The folks behind Alinea put fried chicken in a whole new spotlight at Roister, where the humble comfort food ascends to glorious new levels. The highly Instagrammable dish is part of a multi-step whole-chicken preparation that’s served with sunchokes and chamomile, and there’s also a more casual fried chicken sandwich that gets a punch of sunchoke hot sauce and some fragrant chamomile mayo. Honey Butter Fried Chicken: Chicago’s mighty fried chicken pioneers are still at the top of their poultry game, as Avodnale’s Honey Butter Fried Chicken still draws crowds of hungry customers to its casual eatery every day of the week that it’s open. The popularity and hype is legit. The boneless, locally sourced chickens are fried until golden brown, then served as a platter of breasts, drumsticks and thighs, or in alternative options like sandwiches, mac & cheese, nachos, French toast and tacos. In case it wasn’t clear, this is fried chicken heaven. Then there’s the namesake honey butter, which gilds the lily as a sweet and creamy topping to any and all fried chicken creations. Dove’s Luncheonette: When most people think of Tex-Mex, be it classic and no-frills or totally neoteric and adventurous, they think of enchiladas and tacos and tequila. Fried chicken may not be the most obvious go-to, but it fits in well at Dove’s Luncheonette, which does a top-notch job with clever Tex-Mex in Wicker Park. A nod to chicken-fried steak, a Texas staple, the chicken-fried chicken was an instant hit at the sunny restaurant, and it remains as fiendishly popular as ever. That’s thanks to the comforting combo of buttermilk fried chicken and creamy, spicy chorizo verde gravy. The heaping plate gets a welcome dose of brightness and sweetness thanks to peas and pearl onions. Oyster Bah: Seafood gets top billing at this familial, nautically inspired Lincoln Park haunt, but you’d remiss to skim over the fried chicken, which is a real sleeper hit on the expansive menu. The rendition here contains a hulking portion of crispy chicken seasoned with Old Bay spices, served with sides of cole slaw and fries. Those spices are key, adding just the right mix of heat and herbs. For those looking for fried chicken at home, the restaurant also offers the same chicken to-go from its adjoining carryout and delivery concept, Seaside’s. Summer in Chicago is the best time of year to dine with a waterside view overlooking sea-sized Lake Michigan, drinking in the panoramic views as you simultaneously drink wine, cocktails and beer. Whether it’s a skyscraper-sized view or a casual cafe, these are some of your best options for beachy views and waterside vibes in the city this season. The Signature Room: Just above the waterside Chicago’s most iconic location for dining with a soaring view is undoubtedly The Signature Room. Unless you’re paralyzed by a fear of heights, that is, because in order to get to the restaurant you’ll need to ascend an elevator to the 95th floor of the John Hancock. Once here, you’ll savor modern American cuisine with a seasonal tilt, plus craft cocktails, wine and beer. No matter where you’re seated, you’ll be rewarded with majestic, awe-inspiring views of Lake Michigan and the skyline. The best seats in the house, though, are the ones perched up against the north-facing glass wall, which affords a stunning vista of Chicago’s beach-lined north side. Cite: One of the most criminally underrated restaurants when it comes to sky-high dining in Chicago, Cite gets you so close to the lake you may actually feel like you could fall in. Located on the 70th floor of Lake Point Tower, the only skyscraper east of Lake Shore Drive, and just in front of Navy Pier, the soaring restaurant has extraordinary views from every angle. The seafood, steaks, cocktails and tasting menus aren’t too shabby, either. Using French techniques and a seasonal mentality, the restaurant features ever-changing dishes like lobster tail with butter gnocchi, sesame-crusted Alaskan salmon, venison strip loin with poached pear and rack of lamb with ratatouille. Caffe Oliva: When it comes to beachy dining in the city, it doesn’t get much better — or beachier — than Caffe Oliva. This bright and sunny cafe is literally located right on Ohio Street Beach alongside Navy Pier, providing a warm, relaxing vibe to your patio dining experience. This year’s menu is better than ever, featuring an eclectic lineup of shareable plates like Greek bruschetta, fried calamari with lime aioli, coconut shrimp, margherita flatbreads, blackened whitefish with tzatziki and a slew of sandwiches and burgers. There’s also a kids’ menu, desserts, brunch and a ton of cocktails. Keep the group party going with one of Caffe Oliva’s fish bowls, designed to satisfy a thirsty group with potions like the “Finding Nemo”: blueberry vodka, pineapple juice, sour, fresh lemon juice and Swedish fish. Pinstripes: If the idea of dining and drinking at a bowling alley sounds like a joke to you, then clearly you haven’t spent any time at a Pinstripes. This beloved mini-chain is popular for good reason, and their Streeterville location (the only one in city limits) backs it all up with the added bonus of being right on the Ogden Slip harbor, with a lengthy fire pit-lined patio overlooking the lake. In addition to bowling and bocce inside, Pinstripes sets itself apart as a restaurant destination in and of itself, with casual yet inventive Italian food that’s great both for snacking-while-gaming and for a leisurely meal al fresco or indoors. Cafe Spiaggia: For upscale Italian fare with an equally impressive vista, don’t miss Cafe Spiaggia. Or really if you’re feeling decadent, it’s even more upscale sister restaurant Spiaggia. But due to its more accessible offerings, Cafe Spiaggia is certainly an easier stopover for a quick lunch with a sensational overlooking the top of the Magnificent Mile and Oak Street Beach. The restaurant offers a contemporary, elegant take on classic Italian cuisine, making for a fine meal while nestled along the windows above one of the most famous shopping streets in the country. 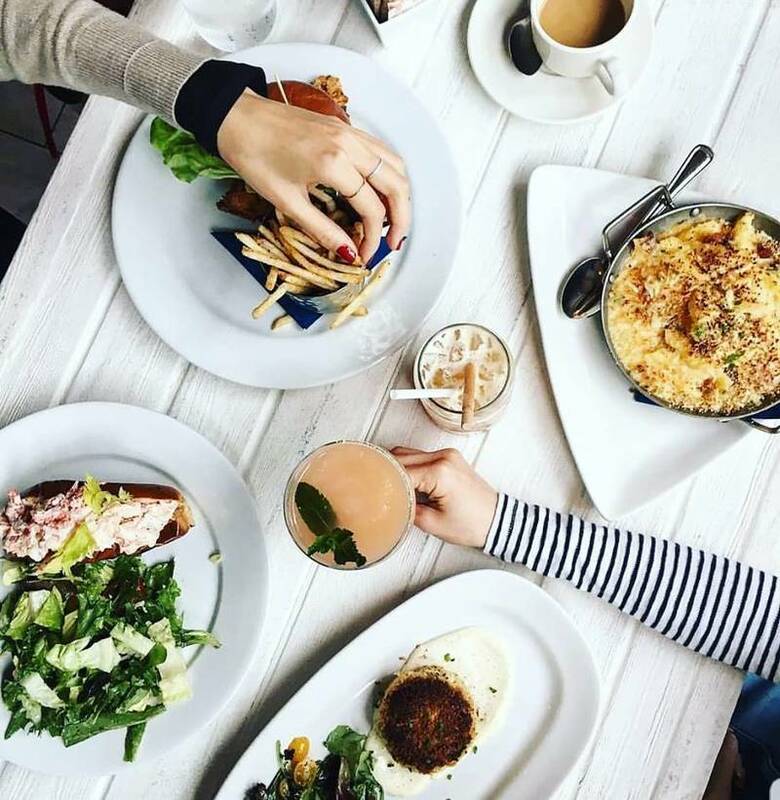 Fasten those bibs, because brunch is served at Lowcountry. 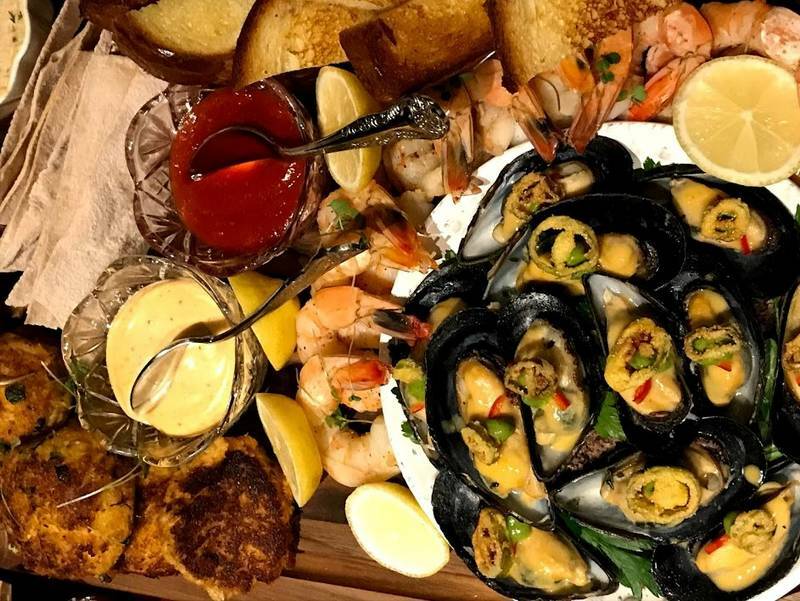 The South Loop outpost of the boil-in-a-bag seafood concept, which specializes in Cajun-style shellfish, has added weekend brunch to its popular portfolio. A slight departure from its usual eat-with-your-hands bag-centric menu, the brunch offerings span a spectrum of Southern comforts, from fried green tomatoes and pimento cheese to snow crab cake Benedict, biscuits and gravy, shrimp and grits and chicken and waffles. Of course those seafood boils will still be available as an option, filled with customizable provisions like sausage, crab and shrimp. Cheesy grits, honey butter cornbread and garlic beignets are available as sides. For something sweet, opt for the deep-fried Oreos, and wash it all down with a mimosa, Bloody Mary or a quenching highball. Brunch is served Saturdays and Sundays from noon until 3:00 p.m.
Booth One has been a smash hit since it debuted last year, racking up the accolades and drawing hordes of diners for its glam dinner service. Now, the glitzy Gold Coast bastion has added breakfast and brunch, providing even more opportunities to sample the decadence. The weekday breakfast menu consists of various toasts (avocado, tahini-banana-honey and smoked salmon), plus pastries aplenty, wholesome bowls (yogurt with muesli and peaches or acai with raw coconut and goji berries) and specialties like asparagus and fontina omelettes, ham and hashbrown Benedict, black truffle scrambled eggs and shirred eggs Florentine. Come weekend brunch, the breakfast lineup is adjoined by a series of lunch-y items, like Brussels sprouts leaves salad with mustard vinaigrette and Medjool dates, Yang’s Imperial lobster toast with caviar and beef Wellington with mushroom bordelaise. In other breakfast news, Magnificent Mile mainstay RL Restaurant has rolled out a brand new breakfast menu. Already regarded as a power lunch Mecca and steakhouse staple, RL’s new breakfast offerings are sure to be a quick hit for the downtown set. Now open at 7:00 a.m. with Ralph’s Coffee blends crafted by La Colombe, the abbreviated menu consists of basic favorites like croissants in both savory and sweet flavors, fresh fruit, yogurt, brownies and cookies. Breakfast is offered from 7:00 a.m. until 10:00 a.m. daily. Finally, for brunchers who prefer their weekend repast with limitless booze, sister spots Old Town Pour House and The Boundary have just the ticket. The new “bottomless boozy brunch” is available every Saturday and Sunday through Labor Day, wherein bottomless mimosas and Bloody Marys are available with the purchase of an entree, all for $30. Entree options include indulgent offerings like stuffed French toast with vanilla ice cream-battered brioche and a pork Benedict with smoked pork shoulder, poached eggs, English muffin, BBQ hollandaise and habanero hash browns. Wood: One of the most popular — and acclaimed — restaurants in Boystown, Wood is beloved not only by locals, but by esteemed dining guides like Michelin. The restaurant has routinely been listed as a Michelin Bib Gourmand recipient, which recognizes culinary excellence at bargain prices. Courtesy of chef Ashlee Aubin, the menu makes it easy to see where all the accolades have been coming from. Dinner features dazzling presentations like avocado salad with quinoa and poppy seed vinaigrette, ahi tuna with fried plantains and black bean aïoli, soft-shell crab with English pea risotto and salsa verde, and Burrata with roasted strawberries and toasted rye sourdough. And those are just the starters. 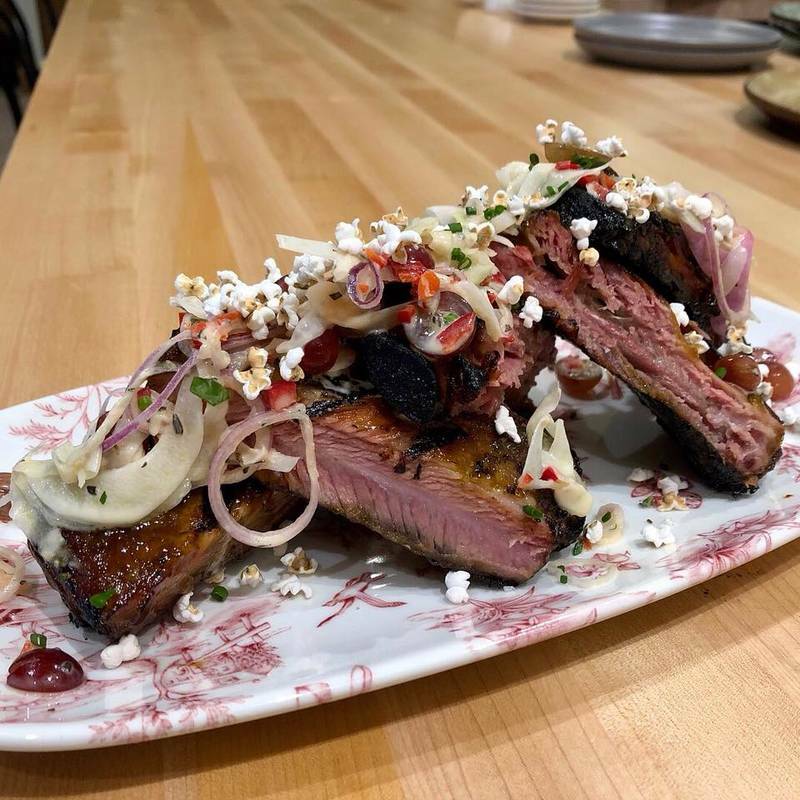 Large plates really bring the wow with dishes like smoked St. Louis-style spare ribs with togarashi rub and roasted peanuts, hanger steak with hash brown gratin and bearnaise, and merguez sausage with bacon-braised lentils and chickpeas. The cocktails are not to be missed either. Pingpong: “Chopstick cuisine” is the bill of fare at this bustling, contemporary Asian restaurant and bar on the Broadway strip. The space is slick and artsy, providing a fun backdrop for shareable dishes like seared tuna with wasabi butter, peanut noodles, salt and pepper calamari, spicy seafood ramen, dan dan noodles and pad see ew, all of which do a nice job toeing the line between classic inspirations and modern, inventive interpretation. Cocktails are just as noteworthy, what with a lineup of beverages inspired by 1930’s Shanghai. These include the Ginseng Margarita made with Korean red panax, tequila and lime; the Nobility with gin, Jasmine tea tonic and mint; and the Opium Haze, which combines Maker’s Mark, sage and fig preserves. Lark: At the risk of stating the obvious and perpetuating the superficial stereotype, Boystown is one of Chicago’s sexiest neighborhoods. It’s a sentiment that holds true for the local bars and restaurants, as well as the denizens and clubs. One of the best examples as far as restaurant goes is Lark, a tasty addition to the main drag along Halsted Street. The food menu boasts the likes of tempura green beans, Cubano sandwiches and pizzas draped with prosciutto, and the people-watching is just as good, thanks to an incredible happy hour and something called the “after dark” period, which has late-night DJs and vintage board games. HB Home Bistro: The confines and the food are as cozy as the name suggests at this quintessential Boystown staple. Within the homey dining room, the popular restaurant serves up a mix of New American plates and European influences. That means baby beet salads with pistachio butter and grilled asparagus with romesco and soft-boiled egg share menu space with artichoke and edam fritters and papatas bravas with roasted jalapeño aïoli and tomato jam. For heartier plates, the kitchen turns out innovative offerings like BBQ beef tongue, Amsterdam-style mussels with star anise-steeped beer broth and shawarma-spiced lamb breast with English pea hummus, red quinoa tabbouleh and fried chickpeas. D.S. Tequila Company: You don’t need to stick to chef-driven, homey eateries to get high-quality food in Boystown. Even the clubbier spots in the area have interesting options to savor. As evidenced by spots like D.S. 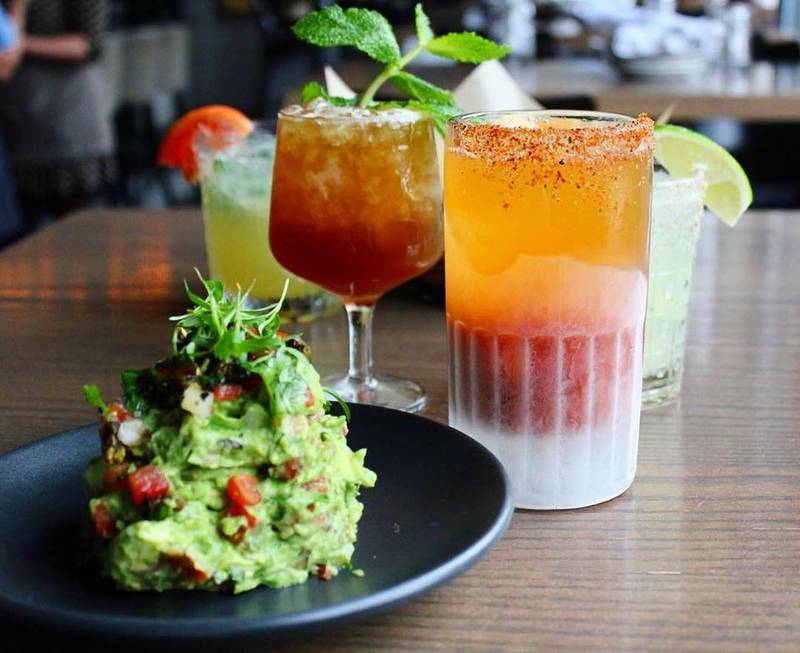 Tequila Company, a rambunctious people-pleaser with a playful menu of burgers, tacos, quesadillas, margaritas and frozen drinks. The place is popular for good reason, thanks to its upbeat environs, energizing music and broad menu loaded with everything from bourbon chicken tacos and mac and cheese-topped burgers to churros, blackberry margaritas and watermelon “frosé,” which looks to be the cocktail of the summer. Yoshi’s Cafe: For years, Yoshi’s Cafe has been a keystone in the Boystown community, revered for its elegant ambience, warm hospitality and its fresh, original take on fusion cuisine combining elements of French and Japanese cooking. The restaurant is a timeworn fixture for locals, as the quality and technique are unparalleled. For dinner, you can’t go wrong with menu favorites like Wagyu beef brisket gyoza, vegetarian tofu burgers, whole loupe de mer, or strip loin au poivre. One of the standout signatures, however, may very well be the vegan roasted kabocha pumpkin, filled with vegetables, tofu and mushrooms in a sweet and spicy apricot sauce with sesame oil and soy sauce. Happy hour is the happiest of all when you’re surrounded by bowling alleys, bocce courts, karaoke rooms and dart boards. 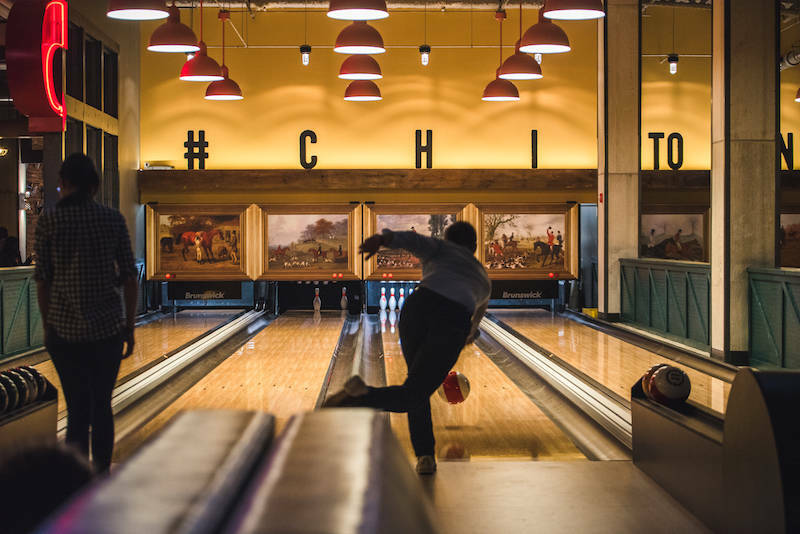 The West Loop’s brand new Punch Bowl Social, a behemoth dining and gaming complex out of Denver, has jumped on the happy hour bandwagon, offering deals and specials on weekdays from 3:00 p.m. until 6:00 p.m. During this time, visitors can enjoy $4 beers like Schlitz, Old Style and PBR, $6 well drinks, $8 punch and $7 select cocktails. There are also plenty of bargains on dishes like $2.50 street tacos, $7 pimento cheese, $6 wings and $9 burgers. Additionally, late-night hours at Monday entail happy hour deals and free games. Speaking of deals, Taco Joint has a slew of them as part of its new series of daily specials. Both Lincoln Park and River North locations of the popular crowd-pleaser are participating, offering bargains like $6 margaritas on Margarita Mondays, $12 Tecate and taco combos on Tuesdays, 50% discounts on full pours of tequila, mezcal and sotol flights on Wednesdays, $25 margarita bottles on Thursdays, and $7 combos of Modelo Especial and Partida Blanco tequila on Fridays and Saturdays. It all wraps up on Sundays with bottles of margaritas and six tacos for just $40. 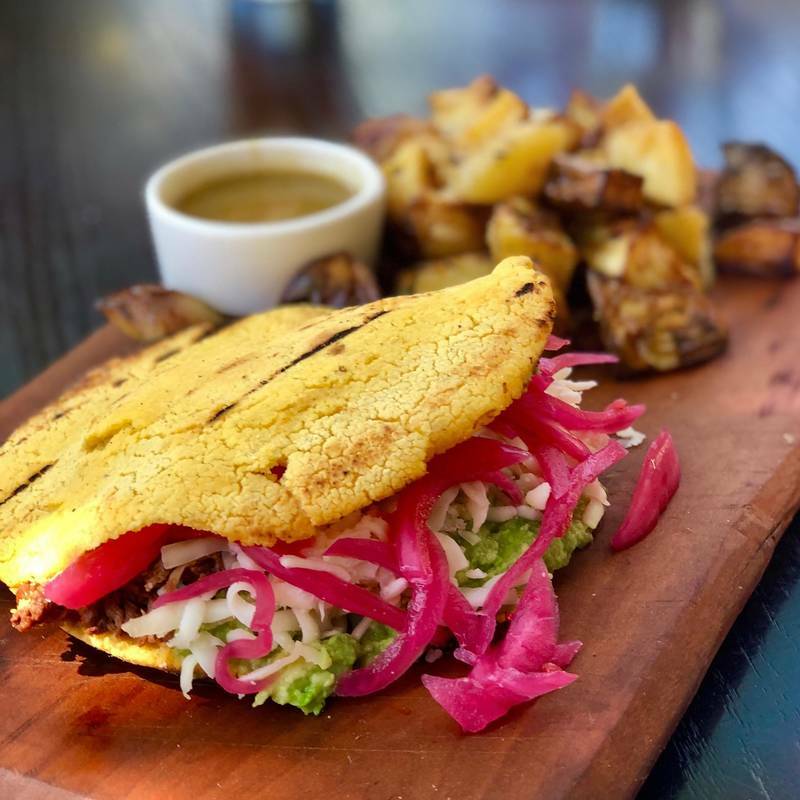 And this doesn’t even touch on the restaurant’s weekday lunch specials, which feature the likes of taco platters paired with margaritas or Modelo, barbacoa chilaquiles and combos like half tortas and salads. One reliable harbinger of summer to come is the ongoing al fresco movie series at ROOF on theWit, wherein popular flicks are screened at one of downtown’s hottest rooftop bars from June through September. This year’s lineup looks better than ever, kicking off June 4 with a screening of mega-hit Black Panther. It starts at 8:30 p.m., followed by other must-see films like Pulp Fiction on June 25, Ready Player One on July 30, Spider-Man: Homecoming on August 20 and I, Tonya on August 27. It wraps up with the Blues Brothers on September 10. In other summery rooftop news in the Loop, AIRE is teaming up with one of Chicago’s burger legends for a fun pop-up series that’s not to miss. The 24th-floor bar, perched atop the Hyatt Centric The Loop Chicago, welcomes Kuma’s Corner for an ongoing series running on Saturdays from 4:00 p.m. until 9:00 p.m., starting June 2. During this time, the legendary burger restaurant, famed for its piled-high beef burgers on pretzel buns, will feature its famed Led Zepplin, Darkthrone, WASP and Pig Destroyer burgers for $10 apiece. It’s all served alongside AIRE’s regular offerings of shareable plates, cocktails, beer and seasonal dishes.